MSR tents are one of the best known brands world wide and over the nearly 50 years of operations, have garnered a name for producing high quality equipment, in particular their extensive tent range. 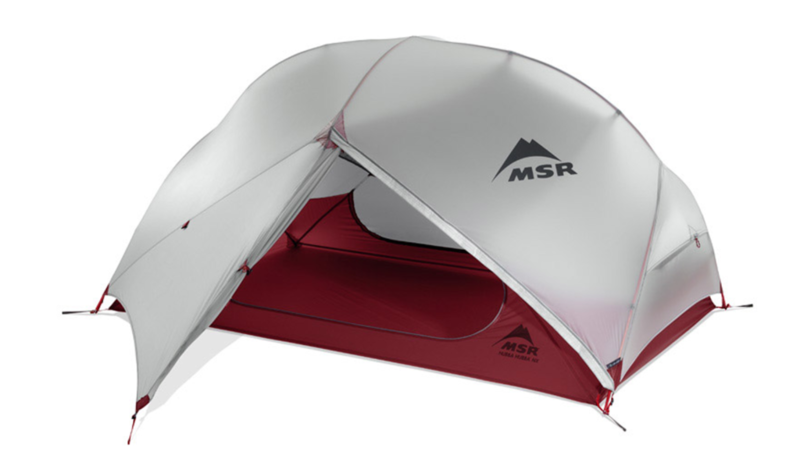 Probably their best known, and best selling model is the MSR Hubba Hubba NX 2 Tent. Recently I was given the opportunity to try this tent out and while there is no such thing as the ‘perfect tent’ for every situation, I would be quite happy using the Hubba Hubba. This tent in its current configuration is a maroon and light grey tent that is reasonably unassuming in the landscape. While the internal tent is rectangular in shape, when it includes the fly its become a dome. Now every product has its negatives so let’s look at those first. In trialing this tent out I really only came across three negatives. 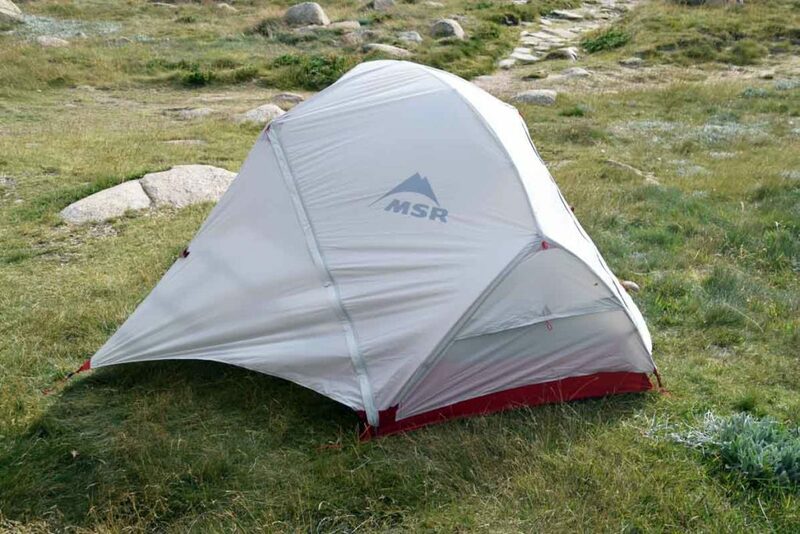 The first which I must admit is being a bit nitpicky is this isn’t an ultralight tent but in all fairness to MSR, they don’t make this claim. It is however a lightweight tent weighing in with all inclusions at 1.72kg. Tents that fit into this 1-2kg weight range are not cheap and the MSR Hubba Hubba NX 2 is certainly not a budget tent at over $725AUD in price at the time of writing this article. (Have a look at the various suppliers below because they all offer great deals from time to time). However I’m a strong believer in you get what you pay for and MSR as a company is responsible for producing many of the features that the cheap knock-off tents now copy. 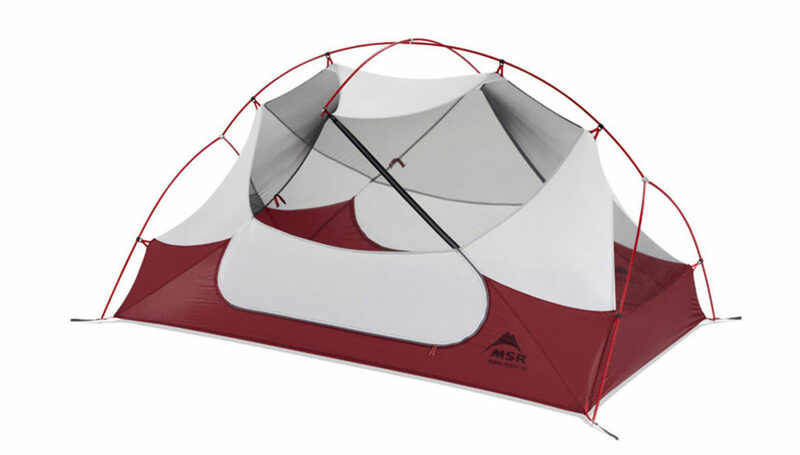 MSR also uses durable high quality products that mean long after the cheap tents have died this one will still be going. Probably the main negative for me is the tent only comes with six (6) pegs which means that if you are planning on camping in overly windy conditions you will need some additional pegs and guy line to fully secure it. Nearly all tent manufacturers that provide pegs with their tents (not all do) only provide a basic set of pegs and allow you to option up at your own expense. I’m a big believer in MSR tent pegs and consider them to be some of the best on the market. For a number of years now I have been in the habit of carrying three (3) MSR Blizzard Sand Stake tent pegs to provide extra security in loose or overly wet/muddy conditions and have even been known to use them on tent platforms that are now appearing on a number of well known sites. Even if this tent came with a few extra standard pegs I will still swap them out so this lack of pegs is certainly not a deal breaker. Now lets look at the positives and there are plenty of those. The first benefit was one that I hadn’t really considered in the past because the only time I share a tent is with my wife so being cosy is not an issue. My current tent, the Big Agnes Copper Spur UL2 really only allows the occupants to sleep in the same direction and while this is not a problem if you are sharing with a partner or family member, if you are sharing a tent with someone you don’t want to get that up-close-and-personal-with then the MSR Hubba Hubba NX 2 is the way to go. 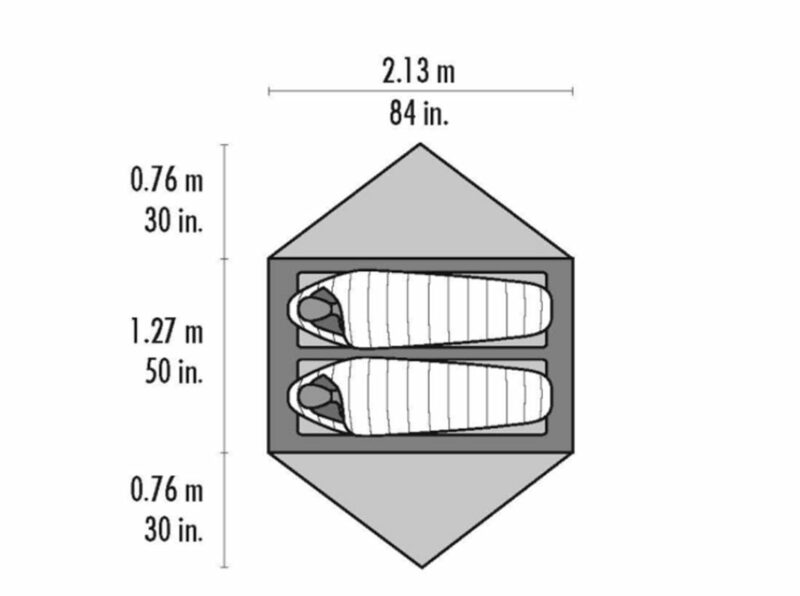 The internal dimensions of this tent are symmetrical so you have the option of sleeping in the same direction or sleeping head to toe. In fact this tent assumes that you are sleeping head to toe and puts a very decent gear pocket at each end of the tent along with a ventilation window. As mentioned my wife and I will often share a tent and she often complains about the amount of space that I take up. Even as a couple I think she would be happier to sleep in the head to toe position. The symmetrical architecture of the internal tent is also mirrored in the roof height so no matter which way you sleep in this tent, the high point is towards the middle. The added bonus with this configuration is if you have set the tent up on a slope you can choose weather to sleep up or down hill depending on your preferences. The internal dimension of this tent is 213cm x 127cm at each end which provides plenty of space. Even in a bulky sleeping bag at 188cm (6’2”) I’m not pressing on the tent ends. The head room is also decent for the average person. The internal tent has a mix of fly mesh as well as solid material so if you are using the tent without the fly you have a reasonable degree of privacy. The doors on the Hubba Hubba are the next thing to mention. They are ‘D’ shaped doors. Before trialing this tent I hadn’t used this door configuration before having only shifted from using front opening tents in the last few years. I love the side opening doors partictulary when sharing a tent, and I’m now a convert to ‘D’ shaped doors – I just found it easier to get in and out of the tent without having to open the doors fully. 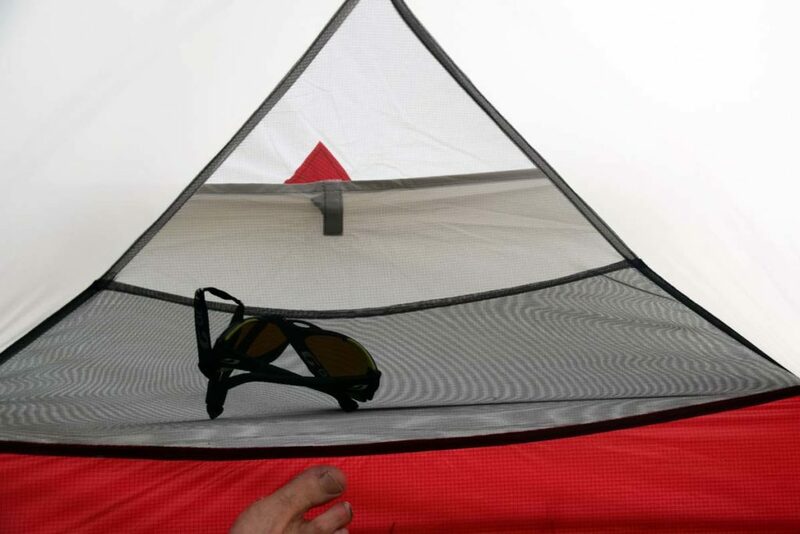 The fly is a light grey colour and provides reasonable privacy when the light is on inside the tent. The fly was also a surprise for me as I have been used to having the fly open in the middle of the tent. 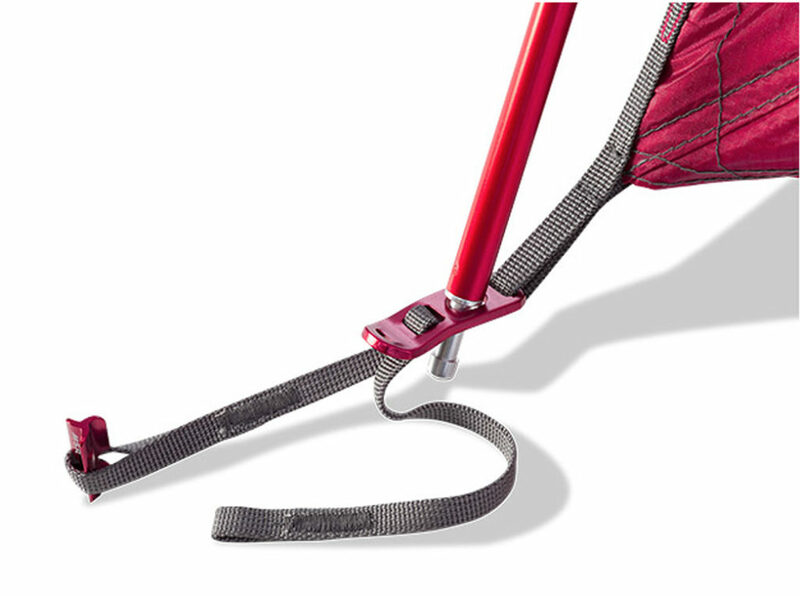 In the MSR Hubba Hubba, the fly opens towards the sleeping end which means that your access is near your head which provides maximum storage for your gear in the vestibule. The tent has a shallow bathtub loop and the material is a 30D ripstop nylon that just feels robust. The tent material itself is probably the reason it’s not as lightweight as some of its competitors. This slightly heavier material used all round means you are less likely to damage this tent in average hiking conditions. If you do camp in rough places then this is another reason to use the Hubba Hubba. I would be very happy to use the tent as it comes and would only worry about using the optional footprint in conditions where damage is likely to occur such as on the Larapinta Trail. So would I purchase this tent as my two person option? Definitely, even though there are lighter options on the market, the build quality of the MSR Hubba Hubba NX 2 as well as the versatility means this tent will last you for a number of years.